The Mint of Finland have announced (16th May) that the new €2 commemorative centenary anniversary coins have begun production with a first-strike celebration. 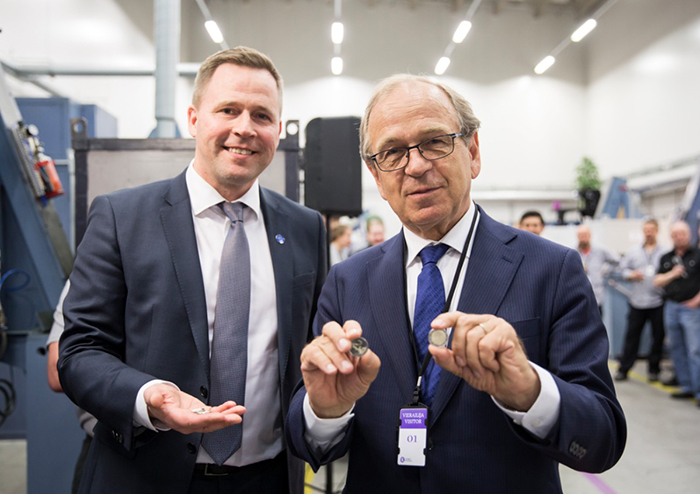 The event was attended by Bank of Finland governor Erkki Liikanen, who started the production of commemorative Independent Finland 100 Years coins at Mint of Finland’s facilities in Vantaa. Accompanying Governor Liikanen was Mint of Finland CEO Jonne Hankimaa. 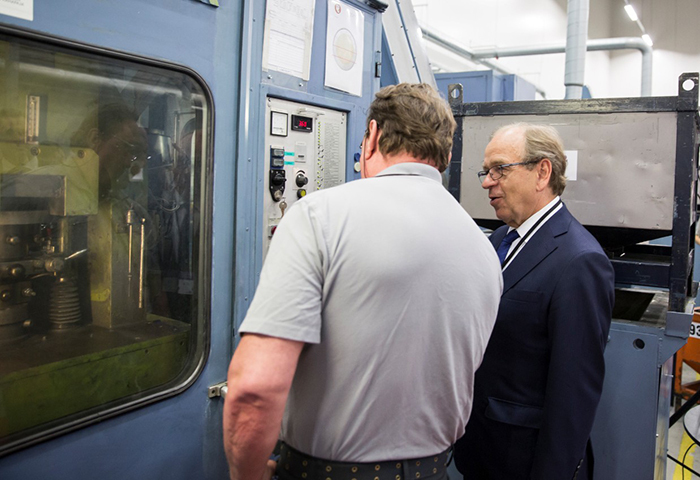 Governor Liikanen (right) observes the minting of the first commemorative €2 coins. 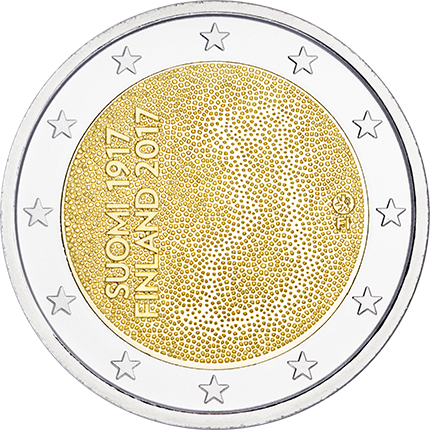 The specially designed coin celebrates the centenary anniversary of Finnish independence, which was declared in November 1917. The national side of the €2 coin is the work of designer Simon Örnberg, who also designed the gold coin being issued on the occasion of Finland’s 100th anniversary of independence. The commemorative design features a mosaic forming a cartographic image of Finland. According to Örnberg, this represents Finland as an increasingly open society that is integrated and networked with the surrounding world. The reverse of the new commemorative coins are identical to the reverse of normal circulation pieces within the eurozone. The designs and release of special €2 coins is up to the individual eurozone countries, which are allowed up to two different commemorative designs annually. The European Central Bank approves their mintages and final designs. All euro coins issued within the eurozone are legal tender throughout the 19 countries where the euro is in use.